Like cats? Like art? Like cats in art? Who doesn’t! The excellent website Great Artist’ Mews has a collection of comical and well-executed artworks that combine the wonder of cats with the splendour of art. I couldn’t help but post this collection of master artworks ‘remade’ and improved by the insertion of cats. This is my favourite, based upon Salvador Dali’s ‘Dream’. 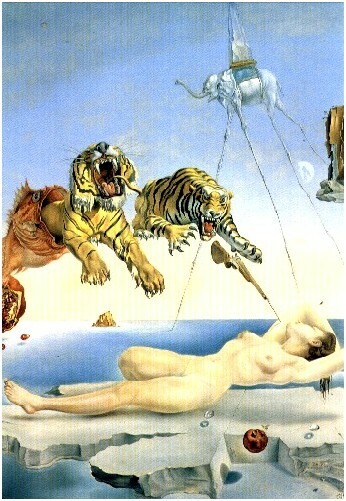 And the original Dali’s ‘Dream’ in case you’ve forgotten it. In some ways, this is a bit of lighthearted frippery of the best kind. But it also captures a prominent flavour of the web at the moment. Cats are notoriously ubiquitous on site like YouTube (sometimes known mockingly as ‘CatTube’). 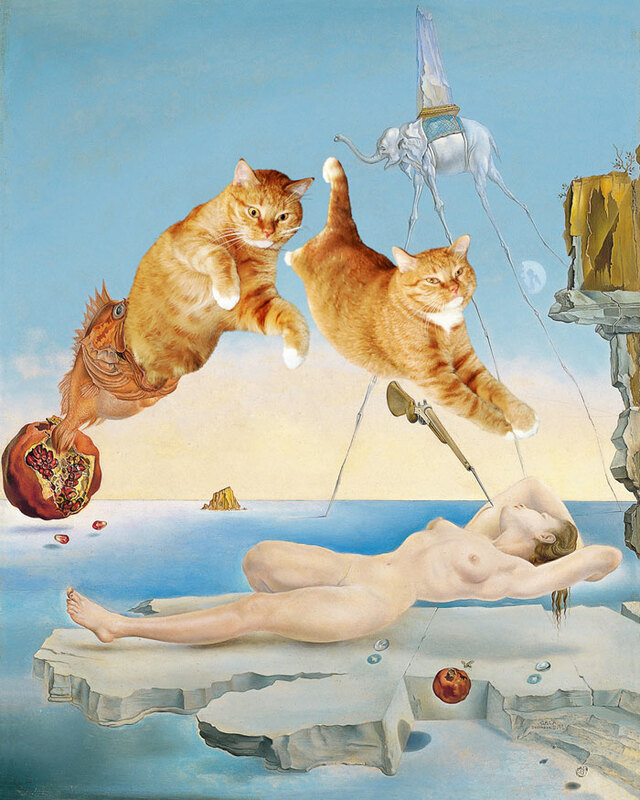 Further, the ‘mashup’ of incongruous elements (here the inserting cats in artistic masterpieces) – along with its sometimes irreverent attitude to canonical artworks and their originality – is notable achievement of creatives all over the web. This entry was posted in Arts, Current affairs, Media, Technology and tagged cats, cats in art, comical, funny, humorous, state of the art, web by philgreaney. Bookmark the permalink.